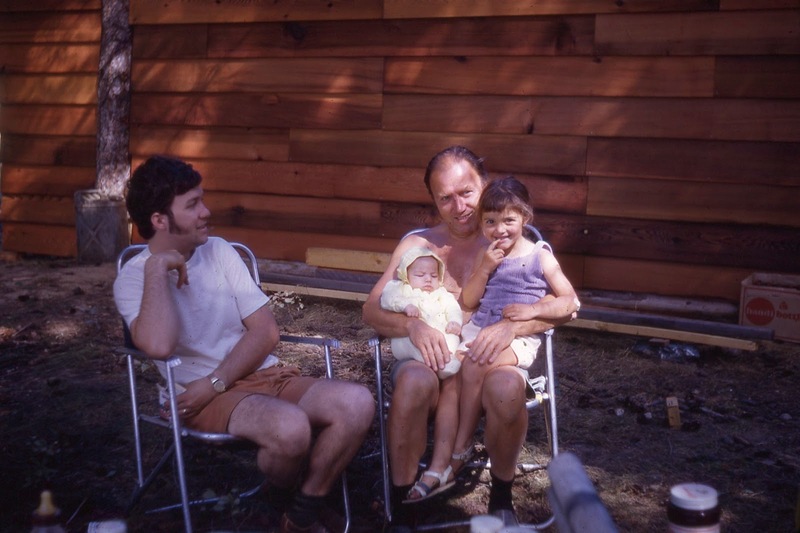 After the cabin was built, a portion of every summer of my life up until University was spent on the water - skiing, going on picnics, and swimming. Water meant more to me than just fun and games though - it was a vehicle for adventure. 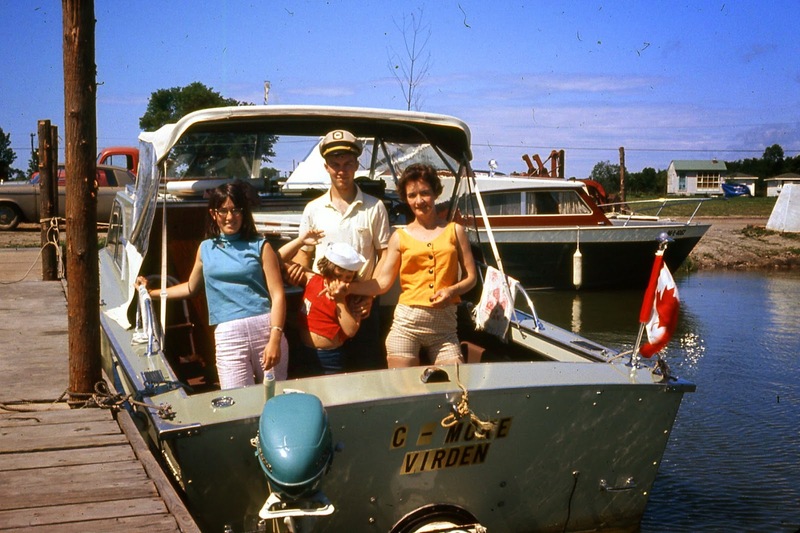 I can't think of a bigger adventure than Grandpa Bob rounding up his family in 1967, putting them in a 21 foot Starcraft aluminum cruiser and travelling from Lake Superior to Montreal for Expo '67. Across 2 Great Lakes, numerous rivers and canals, hundreds of locks, and thousands of miles of coastlines. That is not only a ton of nautical miles, it was a trip of lifetime! Fast forward 32 years and I was an IBM sales rep living in Winnipeg, Manitoba. The year was 1999, and the pre-Y2K buzz had everyone buying new computers to avoid the end of the world. 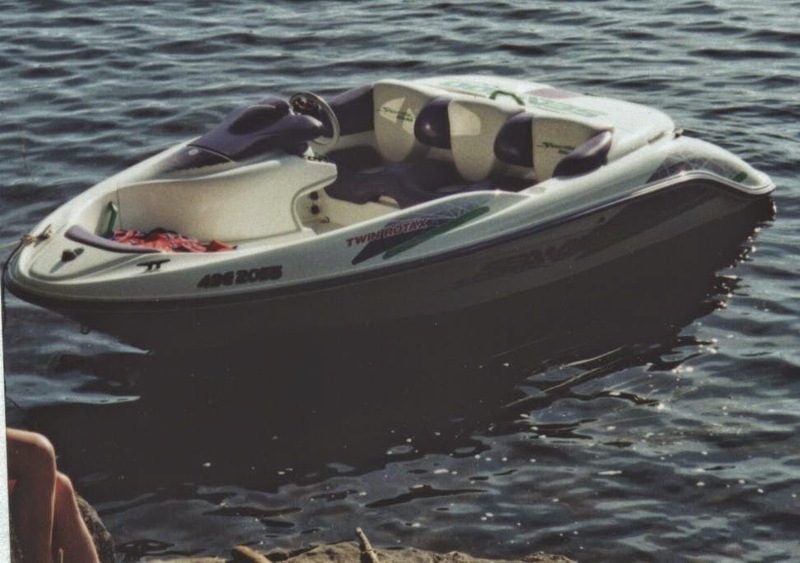 With fat commission checks and an opportunity to move to Toronto, Ontario in early 2000, the time was right to make my first boat purchase. I defied all levels of logic by choosing a super-fast, 15 foot dual-jet boat made by Seadoo. I bought it sight-unseen on a website that many people were just starting to hear about - eBay. With a flat bottom and no props or rudders, these boats were made to do donuts at 55mph and send you careening across the lake like a rock skipping. Also, no protection from the sun, no functional windscreen, and an impeller that sucked in weeds at the south end of the notoriously weedy, Lake Simcoe. Exactly what the family needed - with 2 young girls, Danica and Mila, aged 3 and 1, this was a failed experiment in so many ways! But fun, nonetheless. I owned my first boat for less than 6 months. It was time for an upgrade - both in wind and sun protection as well as usability. Enter the 2000 Scorpion, a 16 foot bowrider with a Yamaha 60hp on the back. Wonderful gas mileage, brand new mechanicals, and a way to start exploring the many lakes, rivers and canals that make up the Canadian Shield. A month after buying the boat, the first major voyage was planned up and down the Trent Severn Canal. With a unique marine railway lock to flight locks, hydraulic lifts, 39 swing bridges and 160 dams, the 386km (240 miles) route was a major undertaking for our maiden voyage. Samuel Champlain was the first European to travel the network of inland waters from Georgian Bay to the Bay of Quinte with the Hurons in 1615. A route that would later be canalized and named the Trent–Severn Waterway. In the mid-19th century, the river systems of Central Ontario were used by lumber barons to easily transport newly felled trees to sawmills closer to market. Many of the logging companies opposed the building of locks, for these would interfere with their business interests. The logging companies did, however, help to create thriving communities such as Bobcaygeon and Fenelon Falls, all of which helped to delay the building of the lock system. Countless miles were put on that little bowrider. The final trip was an amazing journey to Ottawa, Ontario, with the kids and my mom, Gloria McBain. Travelling up the historic Rideau Canal was one of my favorite memories. At 202km (126 miles), and 45 locks, it meanders from Kingston, Ontario to Ottawa. 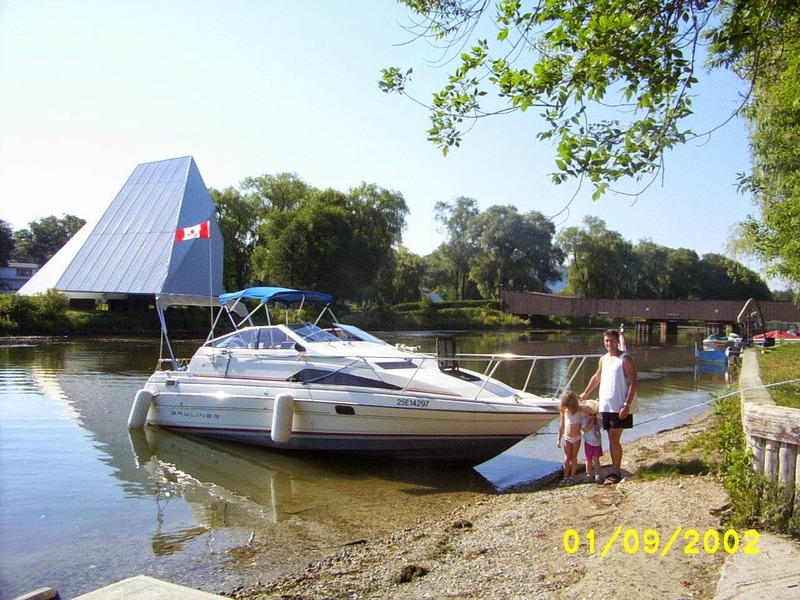 In the summer of 2002, the little bowrider was upgraded to a functional 26 foot cruiser - a 1990 Bayliner 2651 Ciera. With 2 double beds, a bathroom, shower and kitchen - we were now in business! The maiden voyage was up the Trent-Severn again to a town called Midland - in Georgian Bay. Several other trips were made up and down the Trent-Severn exploring Collingwood, Ontario in the Blue Mountains, down to Toronto, Montreal (via the Saint Lawrence Seaway), Rochester and numerous trips to Niagara Falls. Life was definitely good - and the nautical miles kept piling up! 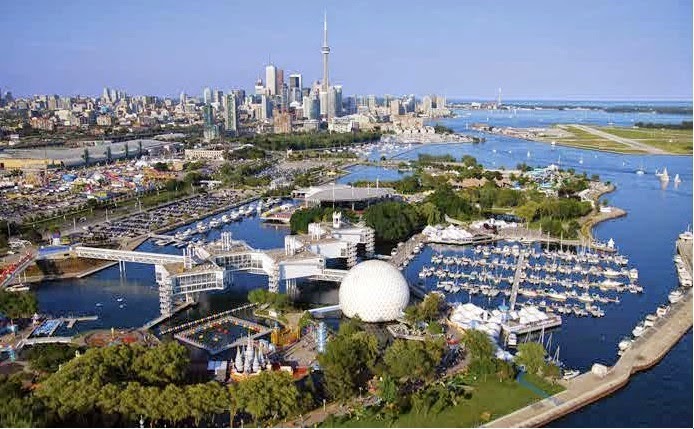 One of my favorite memories with the kids was our marina at Ontario Place. We were moored in the middle of a theme park and would wake up and go on the rides, eat, play, go boating, listen to an outdoor concert, and then sleep again! 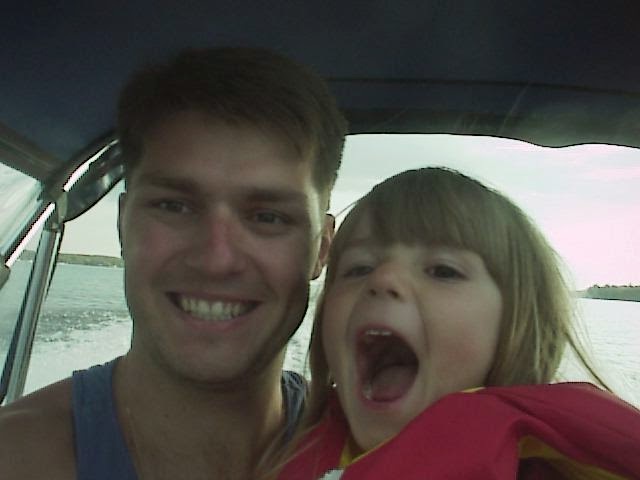 Life was definitely good on the Bayliner. In 2006, some strange things were happening with the Canadian dollar. The value was increasing rapidly and ended up (in 2007) hitting 10% more valuable than the US dollar. Dreams of owning a serious cruiser went from flashes of fantasy to a reality in no time flat! I started to look around and fell in love with the Carver Mariner 350. A yacht that was 39 feet all decked out with leather, big screen TV, 3 double beds, and the ability to carry 30 passengers. I found the perfect boat in Cape Coral Florida, sitting on a lift behind a huge mansion. The person who sold it was a Realtor who bought numerous $10 million dollar estates and sold off the boats behind to put the money into new kitchens and landscaping. The yacht brokerage was instructed to list them on boattrader.com and drop the price by $10K per week until it was sold. I thought I lost it when it hit a low number, but the other guys financing fell through and I was able to scoop it - with another $10K off because a week had passed. The next challenge was to get the boat to Toronto from Florida. I decided to have it shipped to Atlantic City, where I would pick it up, navigate the ocean (or Intracoastal Waterway depending on weather), go through New York, up the Hudson to Albany, hang a left at Erie Canal and hit Lake Ontario via Oswego. This is where the story takes a turn for the worse! The sense of adventure kicked in and, not to be defeated, we set sail to Montreal. 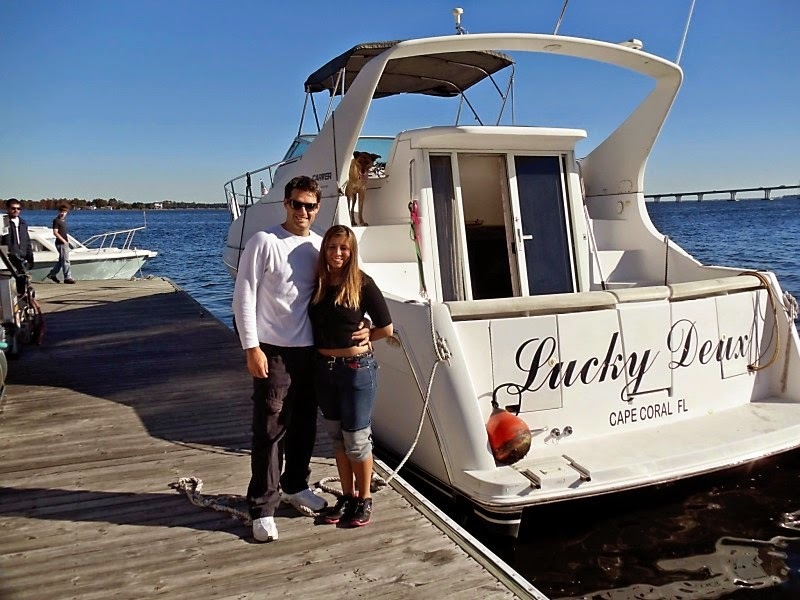 The boat was named Lucky Deux, but was anything from lucky from that day forward! Going up the Hudson, north of the Federal Troy Lock, we started to have mechanical issues with the boat taking on water through a broken front window seal, losing the fan belts and then clunking bottom in a narrow Montreal canal. But that was nothing. Next up, Tornado. Boating through the famous Thousand Islands was a pleasure and something every mariner should do once in their life. As we entered Lake Ontario via Kingston, you have a choice to go inland across the first quarter of the lake or jet out of Prince Edward and go around the wonderful Sandbanks Provincial Park. The challenge is that it puts you in the middle of this great lake and weather can turn on a dime. We were reaching the furthest point of the outlet when the VHF radio started crackling - severe storm alerts, mariner alerts, you name it. In the middle of the afternoon, the sky turned dark black in the North and rain started pelting down. The waves started kicking up to 5 and 6 foot levels with many of them crashing into the boat. I had about 30 miles to reach the nearest shore and 40 miles to the nearest town - Colborne, Ontario. We were now taking on water at a pace where the 4 bilge pumps couldn't stay ahead of it. The boat, already at 20,000 pounds, was getting heavier by the minute. A normal cruising speed of 20 mph was now about 14 and we were not able to get on plane. Knowing that 30 to 40 miles at 14 mph (through a major storm) would take us into the night was top of mind. Having the engines die in the middle of the lake had me on the verge of panic. As captain, your first priority is the safety of your crew - and I was going to get us to safety. The girls were troopers and we found out when we landed in the dark in Colborne that a tornado had ripped through town causing extensive damage. The old salts at the marina couldn't believe that the Lucky Deux was on the water and made it in safely. After that day, I had a new appreciation for preparation and safety. The Carver ended up getting 2 new engines, new props, shafts and just about every other replaceable part in the next few years. It became the worst investment sinkhole I had ever been a part of. The memories did take a turn for the positive in 2009 when I moved to Raleigh, N.C. and transported the boat to be moored at New Bern. I had my own ocean-front condo! I invited my new girlfriend Michelle Ragusa and her two dogs to the boat in later 2010 and it was there in New Bern that our story really started. Read more about our story here. Next up was another move to Albany, NY and another transport of the boat. Mooring the boat on the Hudson was a bit of a challenge. With $4 gas prices and a limited cruising range up and down the river we felt we were missing out on the wealth of cruising opportunities through Upstate New York, NYC, Boston, Martha's Vineyard and Nantucket. It was time to make a change - and downsize. The memories and love I had for the Bayliner came flooding back. 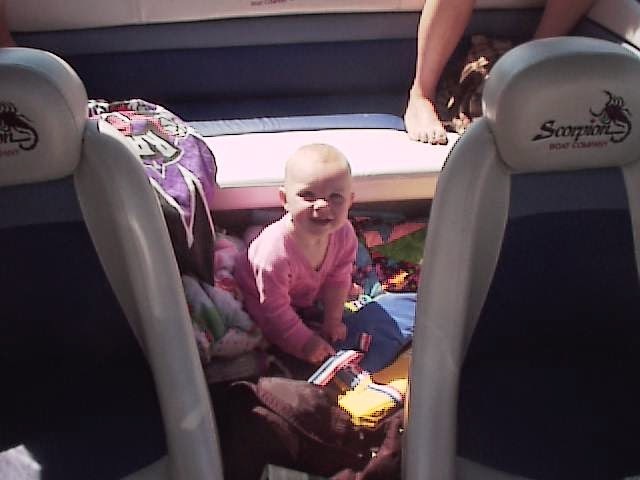 What if we had a boat that we could trailer to awesome locations and start to explore the Northeast with Baby Brooklyn? So the decision was set - in 2014 we sold the Carver and purchased a 2008 Bayliner 245 Ciera. Almost the same boat as the old Bayliner 2651 that I had, only 18 years newer! Follow our Bayliner Chronicles here. We are starting on a series of new adventures now. And we can't wait. What's further down the road? The end goal, and major lifelong bucket list item is to sail the blue ocean. Upon retirement (or sooner) a trip from the Caribbean to the Rock of Gibraltar via the Atlantic Ocean will happen. 22 days of wide open spaces and no shores - a wonderful solitude of nature and a major adventure wrapped up into one. Logistically, I will need to learn how to sail, get my captain's license and take every offshore course I can get my hands on. 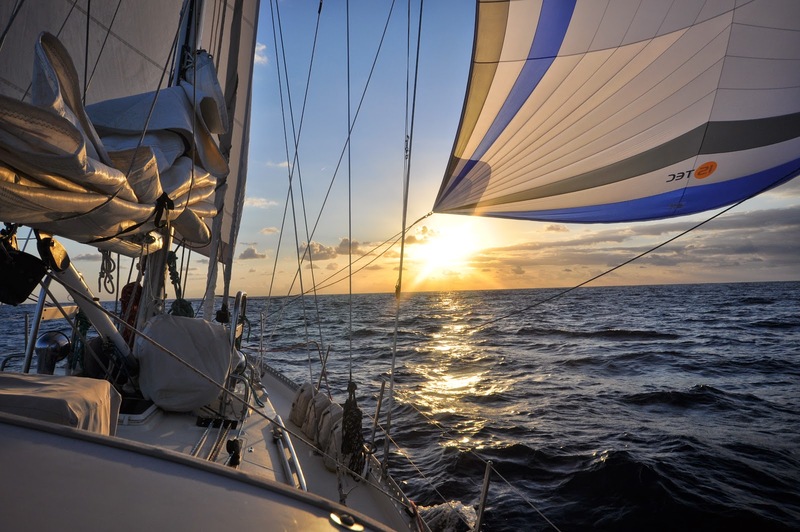 Unless advances in technology allow renewable power sources, we will be in the market for an ocean-worthy sailboat at some point. I will continue to update this blog over time.